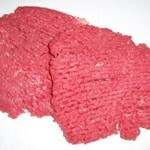 Beef Cube Steak is an inexpensive cut of meat that makes an excellent meal. Not to mention it does have an entire website devoted to it! Beef Cube Steak is a cut usually from the Round. It has its unique look from being tenderized by a special machine. If you have purchased chicken fried steak from your local diner, you most likely have had beef cube steak. Anyone can make a $25.00 a pound cut of meat taste good, but it takes skill to make great beef cube steak recipes.